FREE! 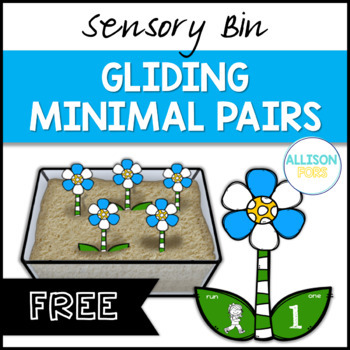 Target the phonological error of gliding in the initial position with this activity! 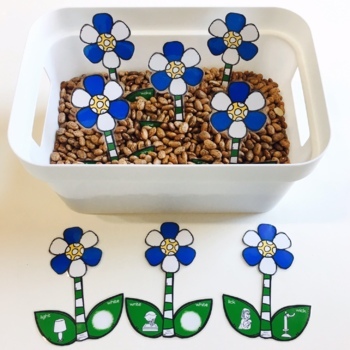 This product was designed as a sensory bin activity but can also be used on its own with any game. Cut closely around the flowers. Laminate if desired for durability. 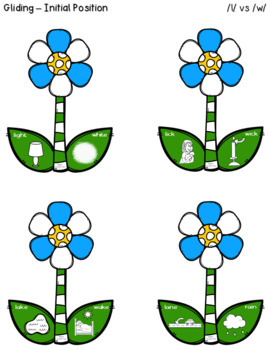 Have the child select a flower and produce the minimal pair correctly. •	Go to your ‘My Purchases’ page. Beside each purchase you'll see a ‘Provide Feedback’ button. Each time you give feedback, TPT gives you feedback credits that you use to lower the cost of your future purchases. I value your feedback greatly as it helps me determine which products are most valuable for you. •	Look for the green ★ next to my store logo and click it to become a follower. All of my products are discounted the first 48 hours.